Andy is a Vice President at Cartesian, with responsibility for the EMEA region. He has extensive experience of serving the RAFM market, having worked for some of the industry’s best known vendors. 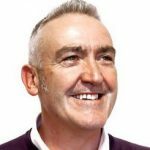 Prior to joining Cartesian Andy was the Head of Commercial Operations for Roscom, and he has also worked with WeDo Technologies, CAPE Technologies and Logica. At RAG London 2018 Andy will join the Wise Heads panel, discussing the current state of risk and assurance work in the telecoms sector. RAG audiences can always rely upon Andy to give them his honest and forthright advice. Andy is a regular contributor to RAG, having been a presenter at RAG Johannesburg 2017, a panellist at RAG London 2017 and RAG Bonn 2017, and the moderator of a panel at RAG London 2016.